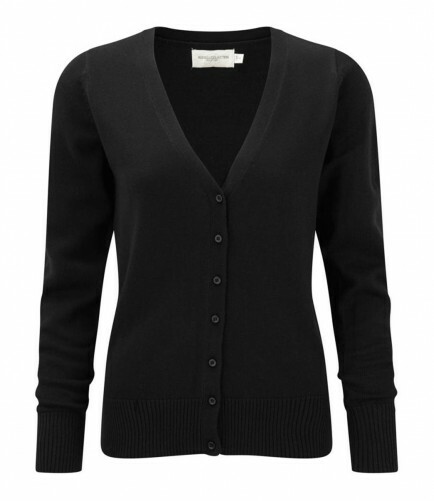 This is a lovely ladies v neck cardigan ideal for all year wear. The Russell Collection 715F Ladies V Neck Cardigan in 50% cotton/ 50% acrylic Cotton Blend. Self coloured buttons. 1x1 rib trim with elastane at cuffs and waistband. 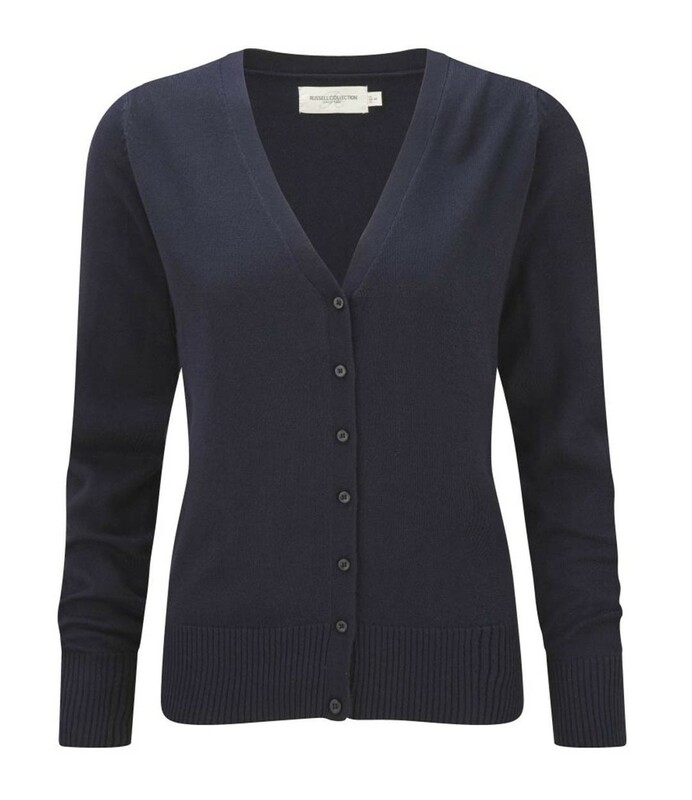 The Russell Collection 715F Ladies V Neck Cardigan can be washed in a 40 Deg domestic wash. 12 gauge. 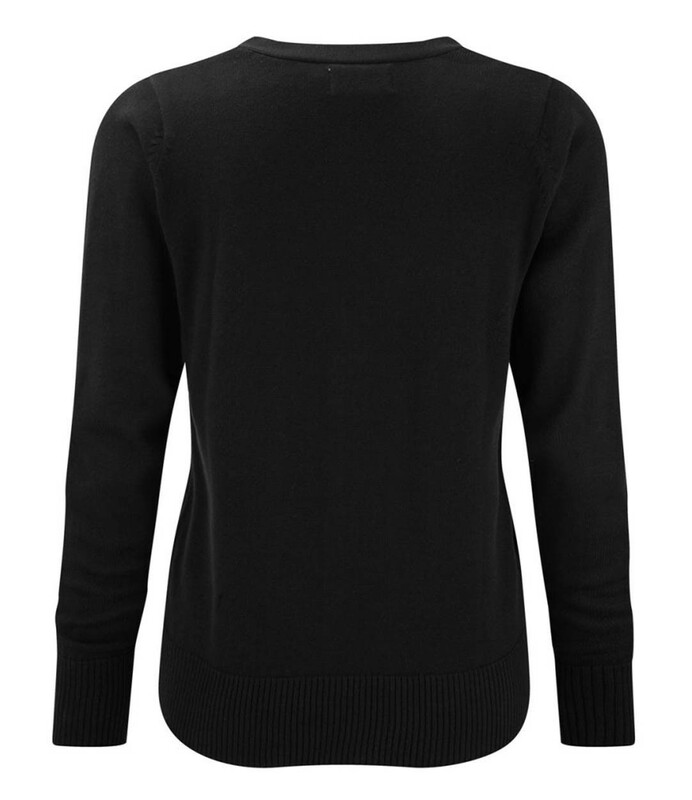 Fabric Weight: 275 gsm.